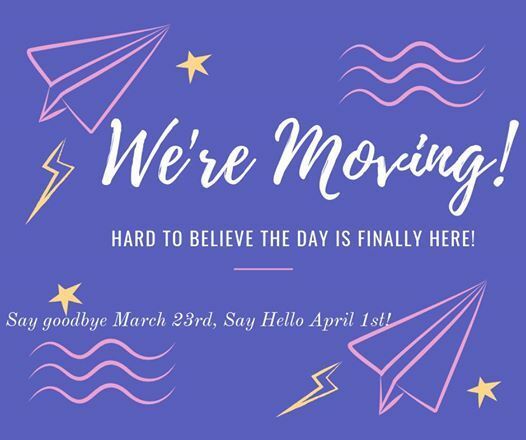 It's hard to believe that after so many years of hard work and excitement it is finally time to invite you to make one last trip to visit Charis in Little Five Points before we move to our new home at Agnes Scott College. Thank you for your words of encouragement, your donations, your feedback, your sweat, and your tears! Charis exists because of you. 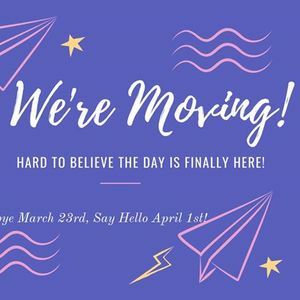 We know you are going to love the new space! PARTY: Saturday, March 23, 11am-7pm. Our last day at 1189 Euclid Ave. NE Atlanta, GA 30307. Come say goodbye to the space and have some cake! We will be partying all day before closing for one week to pack and move. VOLUNTEER: Many of you have been offering to help in myriad ways and we now know the kinds of help we need. Please click here ( http://signup.com/go/wYWtgFd) to plug yourself into our volunteer matrix. If you have a skill to share or have an idea to offer that you don't see reflected here please email aW5mbyB8IGNoYXJpc2Jvb2tzYW5kbW9yZSAhIGNvbQ== and we will help you get plugged in. We have tried to be as descriptive as possible on the front end about the specific abilities required for each kind of volunteer shift, and some jobs are better suited to different abilities. If you would like to help but would like to know more about the physical requirements of a task, email us and we will help find a role that fits your abilities. VISIT: We plan to reopen immediately in our new location at 184 S. Candler St. Decatur. GA 30030 on April 1st (No foolin'). Come see us. PARTY (AGAIN): Although we will be open on April 1st, we will have our grand re-opening party on Saturday, April 27th from 11am-7pm for Independent Bookstore Day. Join us and special guests for a party to kick off Charis' future!